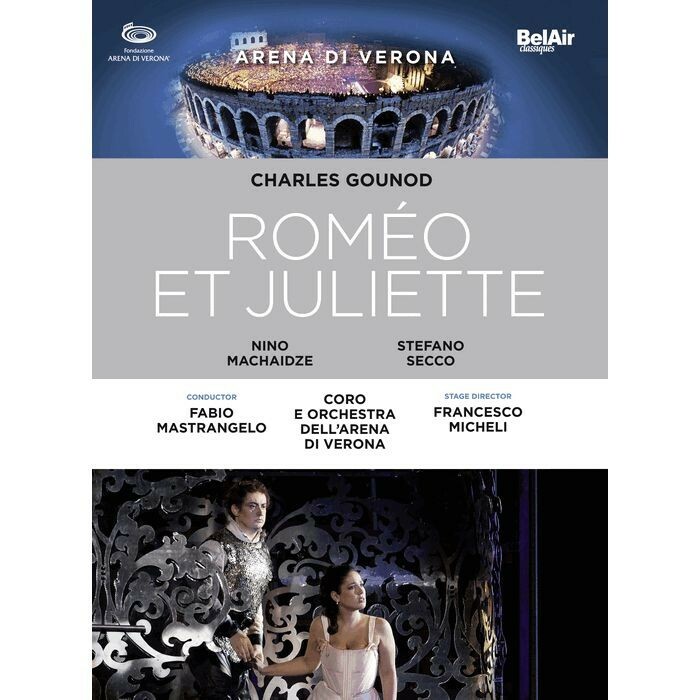 Here from the iconic Verona arena is Charles Gounod's masterpiece Roméo & Juliette, performed there for the first time since 1977. This new production was entrusted to Italian director Francesco Micheli, making his arena debut, who opted for a personal, highly original version: "An arena within the Arena, like a blood-red Elizabethan theatre. A senescent world that will not let its own children live." Juliette is sung by Georgian soprano Nino Machaidze, in a return to one of her early roles at the Salzburg Festival. 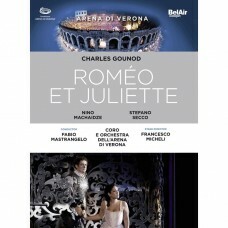 Stefano Secco, often heard at the Opéra Bastille in Paris and other international venues, is Roméo. Artur Rucinski interprets Mercutio, Romeo's friend and the rival of Jean-François Borras's Tybalt. The page Stéphano is sung by soprano Ketevan Kemoklidze. The Orchestra and Chorus of the Arena di Verona are conducted by Fabio Mastrangelo.